Tao Of Music: Experiencing Life As Music - Kindle edition by Bodhi Setchko, Francine Huss, Patrick Woodworth. Arts & Photography Kindle eBooks @ Amazon.com. Musings and personal stories inviting you to notice all of life is music. It’s about being in the flow – wu wei – of your own natural rhythms, whether in nature, an urban setting, hearing your own voice or just listening to the sounds of silence. Bodhi Setchko is a musician, author, songwriter, composer, recording artist, producer, teacher, band leader, sound healer, poet, speaker, workshop leader and creativity coach. The founder of recording/touring ensembles, CRYSTAL WIND and RHYTHM MATRIX, he has recorded 14 albums of original music. He has been performing and providing concert quality music for special events, weddings, workshops and church services for over 30 years. As of 2016, he has been the music director for eleven years at the “Golden Gate Center for Spiritual Living” in Northern California, with Rev. Karyl Huntley. Having studied with many fine musicians, including renowned artists Paul Horn, William Mathieu, and G. S. Sachdev, he developed a unique style of improvisation and composition using the sounds of nature as his inspirational source. He has also contributed his flute tones to the recordings of many contemporary musicians. 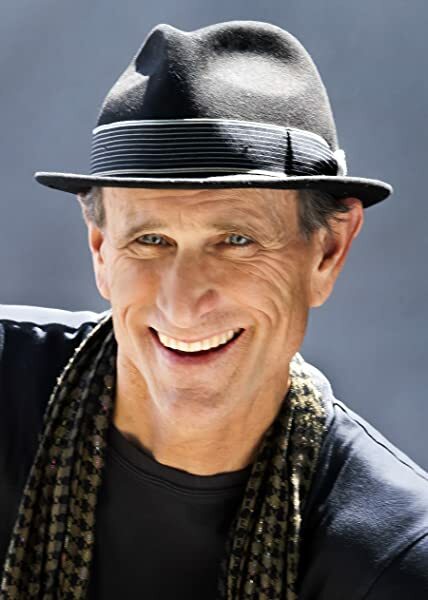 As a master of the flute, piano, guitar, conch shell or turning an affirmation into a chant, Bodhi brings a genuine lightness of being to every concert and workshop setting. His music and books empower people to manifest their deepest dreams and desires. His CD, TRANS UKRAINE was #1 Ambient Album of the year in 2006. You can hear the flute music of BODHI (New Age), on Pandora Internet Radio and numerous other streaming sites. This book is not the kind of book I usually read, but I'm so glad I did! Bodhii defines all sound as music, not just formal compositions. I truly appreciated the links between the sounds of nature and their helpful, healing effects on our bodies and souls. I've met so few people who "get" crickets! There is a tight structure to each section of the book. The author defines his thought, then suggests ways for the reader to work with that idea, anchor it into our own reality - practice the lesson. While many of the ideas are familiar, their treatment is not. I loved the fresh approach to advice about finding balance, grounding in nature, and all the rest. I appreciate the way the author helps us see all sounds - natural and manmade - as music in the great orchestra of life. I learned so much reading this book, and have so many new ideas to ponder. Thank you, Bodhi Setchko! This small book has already had a big impact on my quality of life. I've been following the author's suggestion to listen to the sounds in our lives as though we were listening to music. This has enabled me to listen to certain city sounds that have previously irritated me horribly, with an entirely new attitude. This city "music" may still not be my favorite. Nevertheless,the beeps, sirens, refridgerator, airplanes, etc. now seem more like a composition of atonal modern music brought into a kind of harmony by the thread of the sweet sound I hear from inside during stretches of outer silence. This awareness has fueled my intention to live where I can hear more birds, breezes in the trees, the chatter of squirrels, the buzzing of bees & the movement of water. I agree with the previous positive reviews, and people have said what I feel and done it so well, I won't say more now. 5.0 out of 5 starsBeautiful and very accurate title and book! This is a book as much about life as about music. The author incorporates an awareness practice at the end of each chapter, which I have started to incorporate into my daily life. They are very useful in centering and calming my soul and allowing me to deal with my daily experiences as a source of the experience, not a reaction to it. Very masterful book. 5.0 out of 5 starsEnriching for mind, soul and body. This book goes way beyond the normal concept of music. Bodhi teaches you how to experience sound on the deepest personal level. He shares his own personal experiences, then gives you awareness exercises to help you open up to your own inner insights. That's one of the things that I loved about this book. The chapters are short and easy to follow, so you don't need to know anything about music to benefit. I highly recommend this book to individuals and to groups who want to expand their understandings in a shared experience. 5.0 out of 5 starsCelebrate! Celebrate! Dance to the Music! I adore this book. I have read it numerous times, garnering knowledge with every read. Bodhi's book in and of itself is music. His writing style is warm, calming, soothing, and gentle. He plants the seed(s) of possibilities and awareness, while providing instructions for fruition. It has become my lullaby of growth and awareness. Wrapped in the cocoon of Tao of Music I emerge daily with heightened consciousness and optimism. There are no bad days, just different rhythms. I can dance to them all! Give it a read!! Ever hear a song and you had to know the lyrics??? You play it over and over.... yep, this book is standard in my "play" list. Add it to your own. Thanks Brodhi! How about sharing more of those experiences? I'm intrigued. Your father was remarkable, (obviously in your DNA)! How wonderful to have been a part of his work through your music. Love the Peace Is Now CD by the way! Thanks again! What a joyous read! 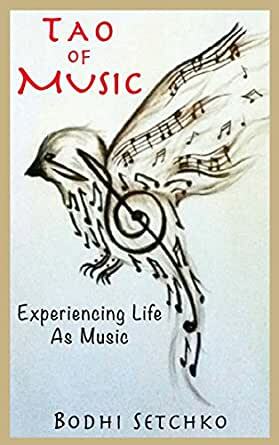 Deeply spiritual, Bodhi Setchko's book shares the magic of music...that which we create and that which flows through our lives in Universal energy. Music in all of nature is a sanctuary here to calm us if we choose to listen. Practices at the end of each chapter help the reader to set a focus for understanding 'how' they can hear the music of the Universe. A book filled with insight from a warm, loving soul. Tao of Music is a gift! 5.0 out of 5 starsListen to your life! This book is a gem! Easy to read and easy to relate to. I felt inclined to pick up my cello, which I had not touched in years, after reading Tao Of Music. The invitation to become aware of our surroundings was a really good feature that I enjoyed a lot. Will keep doing that practice. One of my favourite parts was the 'cricket therapy'. Learning to listen while the universe sings. Well written Mr Setchko! This beautiful little book can be read in many ways. First and foremost it’s the autobiography of a man whose life has been lived in music. It is also a collection of meditations on ways sound can lead us to the roots of our perceptions. It is a primer on opening the ears to accept sound of any kind and from any source as part of the music of our lives. These are a few of the many ways to enjoy this work and each reader will find his or her own. All chapters are accompanied by “zen drawings,” opening the eyes while the text inspires the opening of the ears.